Atrane had the most liked content! Name: Atrane Age: 23 Rank: Rogue Jonin Chunin Exam V Champion. Atrane is a ninja from the Leaf village who specializes in Fire and Lightning jutsus. He is easily recognizable due to his Bright orange hair, in comparison to his dull grey skin. He is a member of the Sasayaki clan, although he is now a criminal. The Sasayaki clan adopted Atrane when he was brought into the village. Atrane was a member of Team 8, alongside Ishyn Sasayaki and Sour Suwa which was led by Kuraen Wilkor. One month after Atrane became a chunin, he led his first ever team to the finals. This team was given the number 7, and consisted of Rumaki, Nitche, and Senketsu. After their strong performance, Atrane was promoted to Jonin. Once the elections came around for the 4th Hokage's council, Atrane was elected alongside Leevi Sasayaki and Arashi. Throughout the end of his time as a leaf ninja, Atrane began to despise some members of his own village. Despite this, he was still a top candidate to become the 5th hokage, even though he truly didn't desire it any longer. From the start of his ninja career, Atrane's final goal was always to become a hokage. He saw the position as a council member as his final step before taking on the role. However, his opinion had changed throughout the course of his council run. After Sand had suffered a fatal civil war, they were no longer able to defend themselves. Despite this, Leaf ninjas continued their assault on their rival, making sure they would never rise back up. Although Atrane was known as one of the most merciless ninjas inside of the Leaf village, even he called out that enough is enough. Deep down, he knew that this was the effect of the culture he helped build within Leaf. When the Sand village was at a point that they could rival Leaf, Atrane was always there to fight. Even after victory was guaranteed, Atrane would continue his attacks. The 3rd Hokage, Deathmall Sasayaki, often would stop him from going too far. Atrane tried his best to contain his desire to destroy his enemies and focused on building up his own village. Whether it was training new students, or forgiving old enemies, Atrane always wanted to do anything to make leaf stronger. It got to the point that Leaf was thriving and becoming unrivaled while their enemies destroyed themselves. The gap had grown much too large, but Leaf ninjas would not hold back. Eventually Atrane realized that the culture he helped create inside of leaf, was bad for the world as a whole. For a brief period of time he thought that he could accept the rank of Hokage and fix his mistakes. However, after heated conflicts and disagreements, the Leaf village began to turn on him. Once Fritzo was announced as the 5th hokage, Atrane felt that the opportunity for him to move on had finally shown itself. He realized that in order to fix what he had created, he needed to do what was necessary to destroy it. He turned his back on his friends, mentors, family, and adversaries alike when he left the village. He used what power he had to join in on attacks against the leaf village and do his part in weakening them. Today, he continues to try and find new ways to bring down the village he used to once protect. It took Atrane 3 exams to finally reach his goal of becoming a chunin. His first exam is the one that helped start the foundations of this goal. Atrane planned to attend the third chunin exams as an audience member. He traveled to the registrations just to see the teams that would be participating and noticed a team that consisted of Feinz and Lewd Beast, who were missing their third member. They approached Atrane and begged for him to substitute for the last spot on the team. Atrane was at first worried that he would not be strong enough, but felt bad to see two members who have trained for so long miss out. After he agreed to join them, he failed the first question on the written exam, costing his team their chance at a promotion. He looked around the room seeing people such as Deathmall Sasayaki, the future hokage, succeeding their tests and felt that he never wanted to fail again. On his second exam, Atrane had trained for nearly a year and had formed a team that was lead by Kuraen Wilkor, a chunin at the time. This team included Sour Suwa and Ishyn Sasayaki, two very strong members of the leaf village. Together, they were given the name of Team 8 and entered the exams. Some people saw this team as a powerhouse squad and many feared them. This exam however, was hosted within the sand village. Although the two villages were in a fierce and bloody war, they came to a temporary ceasefire for these chunin exams. Once team 8 entered the exams, they passed through the written portion very easily. On the second part of the exam, they entered the desert of demons. They were given an earth scroll and had the task of finding a heaven scroll in order to get to the next stage. Once this stage begun, fighting broke out right away. Sand ninjas and Leaf ninjas couldn't wait for the opportunity to attack each other, because of the tension of war that plagued these exams. Atrane's teammate Sour charged ahead and found himself trapped by a water prison. He was hit by a flurry of blows and fell unconscious. Atrane and Ishyn had to find a way to succeed with a member of their team already eliminated. 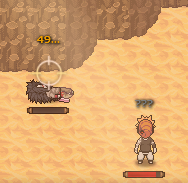 However, these 2 came across 3 sand ninjas and found themselves at a heavy disadvantage. Atrane instantly sent out an attack and lured them away from his teammate who was carrying the scroll. As Atrane was being chased by the 3 sand ninjas, he flickered up onto a cliff, thinking he had escaped. However, 6 more sand ninjas came out from behind the cliffs and sent him to the hospital. After Atrane had woken up in a hospital room, he learned that his teammate, Ishyn, managed to take on 2 more teams by himself and collect their scrolls. However, he found himself with 3 earth scrolls and he needed 1 heaven scroll to pass the desert and get his whole team into the 3rd stage. Ishyn came across a leaf team that included, Jellal, Kamakura, and Hotaru. Hotaru was a last minute replacement for this team, since their member, FR3D Lucha, had broken his wrist from training for the exams. Ishyn saw his two friends and told them about his 3 earth scrolls, finding out that this team had 2 heaven scrolls and desperately needed 1 earth. Ishyn approached the team to make the trade, however, Hotaru betrayed them all. He hit Ishyn with a water prison as Dona and his sand team swooped in to collect all of the scrolls. Atrane's team had failed in the desert and to put salt in the wound, they learned that every person who made it to the 3rd stage that exam, was given a promotion. The hokage caught word of the betrayal in the desert and gave each member of team 8 the title of specialized jonin. At first Atrane was proud of the title, but then he thought that he had only earned the title based on his teammate Ishyn's performance in the exams. However, there was an announcement that in 1 month's time, there would be another exam, this time with far less chunin promotions. Together, team 8 came together once again to tackle these exams. Atrane did not want to fail for a third time and trained his hardest throughout the next month. Once the third exams came around his team entered once again and passed the written portion with no problems. This time, the exams were in the Leaf village and the second stage was the forest of death. Atrane's team went on a warpath to take out teams and this time Atrane held the earth scroll. Their team was taking out contender after contender and then Ishyn became seperated from his team once again. 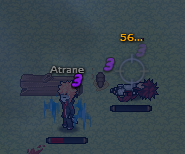 Atrane and Sour stuck together but found their teammate unconscious from a battle. Then a terrifying sight appeared. Mikecw, finalist from the 3rd chunin exams who won his fights but didnt earn a promotion, charged at them with extremely fast speed. Mikecw is a very experienced tai fighter whose speed can be unmatched at times. Kamakura and FR3D Lucha, members from team 12 found themselves mixed in during Atrane and Sours fight with Mike. Together the four of them stopped Mike and collected his heaven scroll. FR3D's team already had a heaven scroll so they handed it over to Atrane's team. Remembering the betrayal from last exams, Atrane took the scroll and wished them luck as he headed for the exit. Team 8 finally made it through to the 3rd stage. They sat around in the waiting room to see who else would succeed. Finally, FR3D's team, who had also lost a member in Jellal, made it through the doors. Both of these teams had been betrayed during the last exams and so Atrane was proud to see them make it through. Ishyn and Jellal both entered the waiting room after being quickly healed by the Leaf village's outstanding medics. A couple more teams made it through and the 3rd stage began. This stage consisted of 2 fights. The preliminaries and the finals. They were 1v1 matches and if you lost, you didn't move onto the second match. Teams also were split up so you had a chance to fight your own team members. In the first match of preliminaries, Atrane fought Meids and defeated him without receiving a single scratch. Sour and Ishyn also went on to win their fights and all 3 members advanced to finals. In the finals, Sour fought Kamakura and won his fight. However, Atrane and Ishyn were chosen to fight each other. Atrane was worried for this fight, since in their year of training Ishyn was easily a stronger fighter than him and often would beat Atrane. The fight started and Atrane quickly found himself at a disadvantage as Ishyn fired jutsu after jutsu. Atrane was continuously taking damage without returning any of his own. He worried that his teammate would best him without receiving any damage from Atrane. Finally, Atrane was able to strike back and started to wither his opponent down. However, Atrane was losing momentum and felt like he could collapse at any moment. His chakra was nearly depleted and his rival was chasing him down. As a last ditch effort, Atrane turned back and threw a shuriken, catching his opponent off guard and knocking him out. Covered in wounds, Atrane stood in front of the crowd victorious. Final moments of the 5th chunin exam finals. After the hype from the finals was over, Atrane and his team were in the hospital getting their wounds treated as they waited for the 5 new chunins to be announced. The announcement finally came that Atrane and his entire team were promoted, along with FR3D Lucha and Leevi Sasayaki. Atrane had finally reached his goal of becoming a chunin of the leaf village. Team 8 during the 5th Chunin Exam. Atrane's merciless fighting style has led him into becoming a force to be afraid of. He is a very aggressive ninja, while others are more precise and calculated. Atrane rarely runs from a fight, even when outnumbered. He often stays behind during a retreat in order to hold the enemy back, if he feels that they cannot all make it out unharmed. Atrane defeating Sand/Missing elite ninjas. Throughout this dark period of war, Atrane lost his ability to show mercy. He viewed any ninja that is not from his village as an enemy. There was controversy within his own village of whether or not this is okay. While the Leaf village has many merciful ninjas, Atrane was not one of them. At first, Atrane would only target known ninjas with crimes against the Leaf. However, Atrane began striking down any Sand, Rogue ninja, or Hermit that crossed his path. The war had been going on for many years, and because of this, Atrane finds it hard to believe anyone is "innocent". As a younger ninja, Atrane was drawn to war and skirmishes. He felt that he could never get enough. This was a problem his Mentor, Deathmall Sasayaki, tried to keep in check. During the long and intense war with the Sand village, Atrane's merciless personality often caused him to go too far. 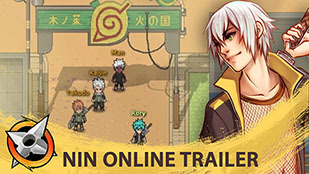 After defeating capable ninjas, sometimes Atrane would continue his assault onto the inexperienced ninjas who could not defend themselves against him. Over time, Deathmall taught Atrane how to limit his lust for war and when to show mercy. Despite the differences in their views at the time, Atrane had a large amount of respect for Deathmall, since he and his clan raised Atrane once he was brought into the Leaf village. Atrane and his mentor, Deathmall Sasayaki. Deathmall saw that Atrane had a natural ability to lead, and did his best to mold Atrane into a proper Hokage candidate. After Deathmall retired from his position as 3rd Hokage, he encouraged Atrane to aim for council, feeling that it would be his last step into maturing into a proper leader. Once Atrane had won a council spot, he helped Ishyn lead leaf into a time of prosperity. Although the war with sand had carried on, Leaf had the clear advantage that was only made larger after Yoru dethroned Tresmorne and forced him into hiding. 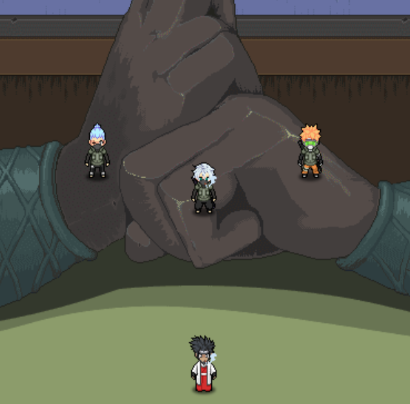 Atrane starting his time as council, as Deathmall prepares to retire as the 3rd Hokage. 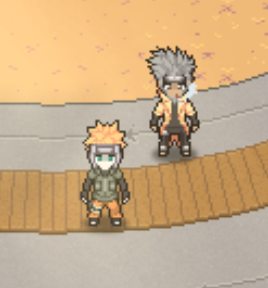 Once Atrane noticed that the Leaf village would not slow their assault on the Sand village, he secretly recruited a known rogue ninja, Anakin, to aid the sand village to the best of his ability. Once it became exposed that Atrane had hired this ninja, the 5th hokage Fritzo, demanded that Anakin should be called off. At this point Atrane realized that he no longer wanted to be apart of a village capable of this type of slaughter. He felt as if the lessons Deathmall taught him were meaningless and hypocritical. That he was containing this lust for battle for no reason. Once he no longer viewed the people in leaf as his friends and family, he left them. Even going as far as to reveal sensitive information to known leaf adversaries. He did this to limit leaf's income of intelligence and to also burn any ties he had left to the village. Seemingly overnight, he turned from one of Leaf's heroic Jonins into a villain with an insatiable desire for their end. In his new path, he was able to uncage his desire for battle and turn it against his old home. Extra information about Atrane's time as a Leaf ninja. For a brief period of time before the war, Atrane abandoned his village. After a disagreement with the Second Hokage, Atrane believed that the village was going down a path he did not want to follow. It is believed that Atrane's true intentions for leaving the village were to attempt to find his father. Unfortunately, there was no trace of him. Atrane's good friend, FR3D Lucha, played a large role in bringing Atrane to his senses and having him return to his village. Now that Atrane has matured as a ninja, leaving the village is his biggest regret. Atrane has worked hard to gain back the trust of the Leaf village, and has helped train many younger ninjas to help repay for his crimes. Atrane with one of his students, Dangan. Atrane also used to be a Co-leader of the group Fuksuki, a large gang of ninjas who would lead attacks on enemy villages. This group fell apart after some members betrayed Atrane and his friends. There were attempts to revive the group but now the remaining members have gone their separate ways. After that, Atrane became apart of the Big Dogs of the Leaf, which were led by Biggie J. This small group was mainly focused on defending the Leaf village. Their teamwork saved Leaf from many attacks. After gaining recognition for his accomplishments within this gang, Atrane was approached by Deathmall and asked to join his organization, Red Moon. Atrane quickly climbed through red moon's ranks, and became a part of the Third Hokage's Guard. Atrane briefly left this organization to work under anbu. The 2nd Hokage and Anbu captain Kuraen Wilkor made note of Atrane's excellence and recruited him. He spent quite some time within this organization, even becoming the Captain of the Anbu Elite Squad. Once he stepped down from his position as leader of the Anbu Elite, he rejoined Red Moon, which was reworked Leaf intelligence Division when Deathmall became the 3rd Hokage. 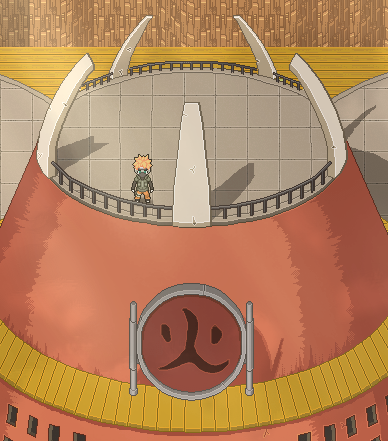 As the leaf village's organizations continued to be reworked under the 3rd Hokage, Deathmall realized that Atrane's expertise was needed elsewhere in the village. He offered him the position of co-leader, working under Arashi Himitsu. Together, Atrane and Arashi are worked towards building the police force and recruiting new members. Once Atrane and Arashi were elected to Ishyn Sasayaki's council, they passed over leadership of the police force to Caio Mirana and Kamakura Suwa. Ishyn and Atrane in a spar. Atrane and Ishyn were on the same team as genin and naturally became rivals. Atrane is Ishyn's adopted brother, which also played a part in the birth of this rivalry. Together they reached Specialized Jonin, Chunin, and Jonin at the same time. However, Ishyn has held more political roles such as being on the third Hokage's council, and becoming the 4th Hokage. While Atrane has been more of a soldier with places in Anbu and the Military Police Force. In a majority of their battles, Ishyn has bested Atrane. However in their most significant battle during the 5th chunin exam finals, Atrane was able to beat Ishyn in a very close fight. One fatal difference in these two was that, Atrane was very unwillingly to accept other's opinions that he felt were wrong. On the other hand, Ishyn was more accepting, trying to find compromises for everyone in the village. Although both had intentions of strengthening the Leaf village, they went about it completely different ways. This rivalry took a turn for the worse when Atrane betrayed his village. These two were once best friends but now they are full blown enemies on different sides of a war. Ishyn will do whatever it takes to stop his old friend. Atrane and Bmore facing off for a battle, years ago..
Another rivalry comes from Atrane's time as a genin in the leaf village. During one of his numerous attacks on the Sand village, a lone ninja stood before him. As other sand ninjas were fleeing, this young ninja was ready to face Atrane to save his friends. Surprised, Atrane asked this ninja for his name, learning that it was Bmore. Atrane admired him for his bravery and accepted his challenge. Bmore wildly ran at him, swinging a sword that was too large for him to properly control. Atrane easily dodged this and blasted bmore with a quick dragon flame jutsu. Bmore flew into the cliff wall and was quickly knocked out. Despite Atrane's murderous tendencies at the time, he decided to not finish off Bmore. As Bmore weakly regained consciousness, Atrane kneeled to his level and said, "If you really want to protect them, you need to be stronger than this." As Atrane turned to leave, Bmore tried to stand to face him again. His knees quickly trembled and he collapsed back down. Behind his mask, Atrane grinned as he continued leaving. He knew that Bmore had the potential to be a good rival. In the following months, Atrane battled with Bmore numerous times, but always refused to strike a fatal blow. He could sense Bmore becoming stronger and it only excited him for their next fights. However, once Atrane started to rise in ranking in the leaf village, he no longer would have the time to battle with a sand ninja. Today, they havent crossed paths in a very long time. Atrane hopes that he will meet Bmore again, to see how much he has improved. Atrane joined the first generation of Leaf's Anbu and was given a spot in their Elite squad. Even though he was only a Genin at the time, the 2nd Hokage and Kuraen Wilkor requested him to depart from Red Moon to join the Anbu Elites. He spent some time working under Ifrit as captain. After showing his proficiency at collecting bounties, he was promoted to replace Ifrit as captain. His team included himself, Konahri, Caio Mirana, and Iveel. Once Caio Mirana departed anbu to serve on Deathmall's council, Atrane recruited Fritzo to his anbu squad. Fritzo went on to become the leader of Anbu and eventually beat Atrane for the position of 5th Hokage. 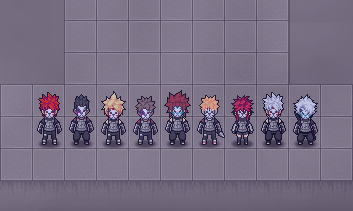 Second Generation of anbu, with Atrane as captain of the Elite Squad. Atrane was known to be the leaf village's best bounty hunter, recording over 27,000 ryo worth of bounties collected. Also, he led his team to successfully protect the leaf village during elections, festivals, and Anbu recruiting events. Eventually, Atrane announced his resignation from Anbu in order to make room for new recruits. Atrane was one of the fastest ninjas ever to reach the jonin rank. One month after his victory in the chunin exams, he led Team 7 in their exams. This team consisted of Atrane as the chunin captain, and Senketsu, Nitche, and Rumaki as the three genin. In their month of training, Team 7 improved a ton in their teamwork and coordination. In the exams themselves, all members shined. They passed the written exam flawlessly and in the second stage, they were the quickest to get both heaven and earth scrolls to pass the desert of demons. In the third and final stage, preliminary fights started. Senketsu matched up against Jellal and won his match. However, Nitche and Rumaki were set to fight eachother, meaning one of them wouldn't make it to finals. This fight was extremely close and well fought, however Nitche barely came out with the victory. Rumaki had to stand with Atrane as he watched the rest of the finals that he wouldn't be a part of. In this stage, there were only 5 contestants left. To settle the unbalanced amount, 3 contestants were chosen to fight in a round robin, meaning they fought the other 2 contestants once each. These 3 consisted of Senketsu, Fritzo, and Nitche. In the first match, Senketsu proved to be team 7's strongest member and took down nitche. In the next match, Senketsu also took down fritzo. During the final match, Nitche was able to beat fritzo, giving him 2nd place. However, a few days later when chunins were announced, Senketsu was the only member from Team 7 to be promoted. Also announced to be promoted was Atrane, he was caught off guard to hear his own name. The work that he did as a chunin was enough to earn him a Jonin promotion along with his own teammate, Ishyn. Two members from the former team 8 had been promoted to Jonin in only a month. Very early in his life, Atrane was taken in by the Hidden Leaf village. Atrane's parents were originally from the village hidden in the rain, however, after Atrane's mother died, his father believed the village was no longer the place to raise his son. 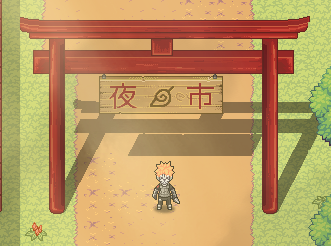 Shortly after leaving the village hidden in the rain, Atrane's Father brought his son to the Leaf village. Due to war crimes his father committed in the past, the Leaf village denied his request to join them. With very little options left, Atrane's father asked the Leaf village to take in Atrane as an orphan. Although hesitant, the hokage understood the dangers of the world and could not bring himself to decline. The leaf village brought in Atrane and the Sasayaki clan raised him to become a Leaf ninja. Although Atrane was raised by the Sasayaki clan, they did not consider him as one of them. Once he was old enough to take care of himself, the clan declined his request to adopt their clan name. However Deathmall Sasayaki, the leader of the Sasayaki clan, continued to mentor Atrane. Today, Atrane has very little memory of his old village. He remembers that his mother passed away, although he can no longer remember her face. Also, Atrane's father has not been seen since the day he dropped Atrane off at the village. Atrane often forgets that he was not born in the leaf village. He finds it hard to believe that his parents could have been loyal to a rival village. However, Atrane often wonders about his parents. He doesn't remember how his mother died, and thinks about the well being of his father. The only thing Atrane has left to remember his father by is his old forehead protector. Atrane carries the protector around with him, however he has never worn it. The protector is very beaten up and has the hidden rain symbol clearly carved into it.